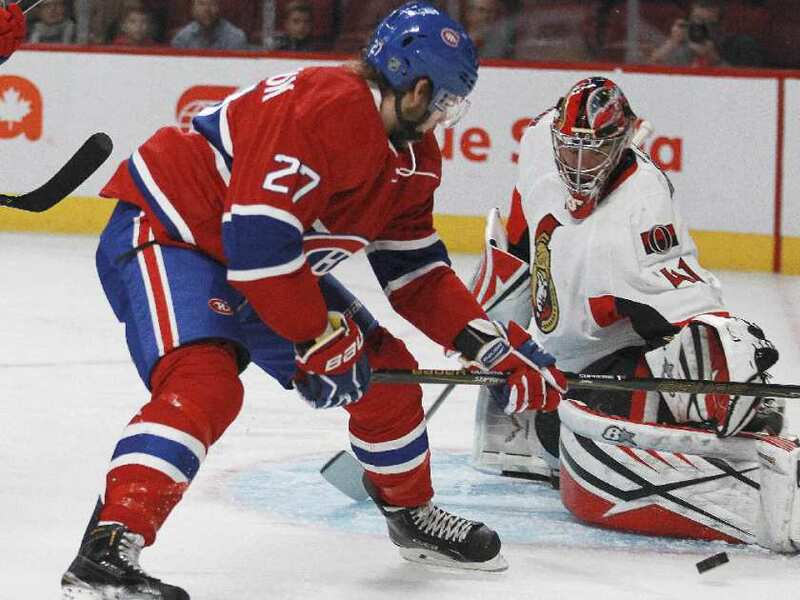 Montreal Canadiens captain Max Pacioretty had an assist in his preseason debut, but the Ottawa Senators scored five consecutive goals to win 5-2 at Bell Centre on Thursday. Pacioretty, who injured his left knee during offseason training, assisted on a goal by Nathan Beaulieu that gave Montreal a 2-0 lead 9:52 into the first period. Andrei Markov scored 1:05 into the game. Cody Ceci scored for Ottawa with 5:00 remaining in the first, and Mark Stone scored a shorthanded goal 4:11 into the second. Mike Hoffman gave the Senators a 3-2 lead at 9:31, with Stone getting his second assist. Clarke MacArthur and Patrick Wiercioch scored in the third period for Ottawa, 2-3-2 with one preseason game remaining. Craig Anderson made 40 saves for Ottawa. He started in goal after Andrew Hammond injured his groin during the morning skate. Carey Price allowed five goals on 21 shots for Montreal, 2-2-2 with one preseason game remaining. Bobby Ryan scored for Ottawa during a 3-on-3 overtime period.